Get Real About Love Support Group for Women who are Serious about having Extraordinary Love! If love is your priority… it’s time to Get REAL about LOVE and learn how to manifest and design the Love you want. Join us for a live heart expanding weekly support group with Renée ~ The LOVE Designer and some amazing women. Get inspired by Renée’s wisdom, passion and humor. This Love Support Group is a great way to get the advice and the support you need by one of the top coaches in the world for a fraction of the cost of her private coaching! You will leave weekly feeling supported with techniques to stay balanced and centered on your path to love. Renée will help you design your plan of action to Get Ready for LOVE and Attract the Relationship of Your DREAMS or get over a broken heart and move on! Every week we discuss all the hot topics most women struggle with and practice powerful techniques and rituals to help you manifest love. This life transforming healing work could be the key to finding the love you have been searching for… with healer of the heart, Renée Piane. Just show up and bring a friend! Please let us know if you are joining us, since we serve some light snacks and wine! TIME: 6:45 -Sign in, grab sparkling water, wine and light treats. 7:00pm – 9:00 pm – Love support session. In Brentwood North of San Vicente off Bundy. Please order tickets BEFORE 12:00 NOON! “GET REAL” Topics Include- Every week we focus on Hot Topics to support you in all phases of love. BE INSPIRED & BELIEVE in LOVE Get Tickets NOW! Invite a friend It’s a heart opening & enlightening experience! 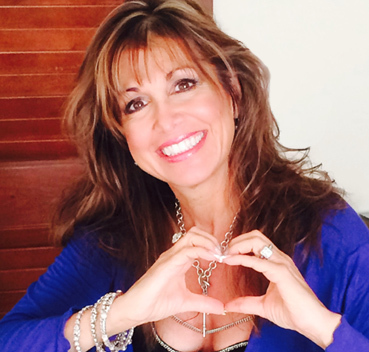 You will be able to ask questions and Renee can help open your heart to Love from the inside out.